is Ticketpro Proprietary Limited ("Ticketpro"), a private company duly incorporated in accordance with the company laws of the Republic of South Africa with Registration Number: 2010/003078/07, its registered and physical address situate at 75 Grayston Drive, Morningside Ext. 5, Morningside, Sandton, 2196. This is the address where Ticketpro will accept service of all notices and process. Its office bearer is B Hirsch. 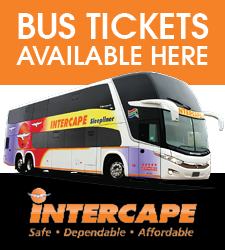 Ticketpro can be contacted on 0861 008 277. Ticketpro&apos;s website is www.ticketpros.co.za and its email address is info@ticketpros.co.za. You must be 18 years or older to make use of this website and the services, and by doing so you warrant that you are a major. The general terms and conditions of the holder(s) of the event(s) and/or the organiser(s) of the event(s) ["promoter"], in addition to Ticketpro&apos;s terms and conditions, apply. These standard terms and conditions apply to all persons making use of the Ticketpro website and its services. If you do not wish to abide by these terms and conditions, please do not make use of this website/services and do not accept them below. Ticketpro acts as a ticketing agent only and does not attract any liability as a promoter to you, but simply offers the service of facilitating ticket sales on behalf of the promoter(s) of the event in respect of which you are purchasing ticket(s). Tickets are not replaceable due to damage, loss, theft or any other reason. 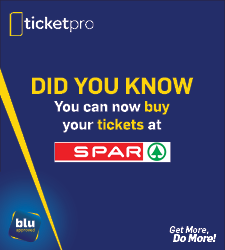 A ticket is void and all rights connected herewith nullified unless purchased from an authorised Ticketpro sales point or agent. Ticketpro accepts no liability whatsoever arising from the postponement or cancellation of the event(s) and in that regard, any recourse you may have in law is only against the promoter(s), although we provide no representation or undertaking that the promoter(s) will refund you. Right of admission to the event(s) is reserved by the promoter(s), and the promoter(s) has the right to alter the programme or the seating thereof. Most venues have restricted items including but not limited to alcohol, weapons, cameras and glass bottles. Tickets can be damaged by sunlight or heat. You must separate tickets from one another prior to arriving at the venue. By using this website and subscribing to the services, you consent to your personal information being utilised by Ticketpro and the promoter who may use this information for purposes of liaising with you regarding further offers, provide you with information and/or promotional material. Ticketpro will not pass on your personal information to any third party other than the promoter of the event for which you purchase a ticket(s). Ticketpro may, from time to time, send you advertising material and information, including but not limited to special offers by e-mail, via SMS, WAP Push, newsletters, telephonically, or through other promotional offers. Opt-out Clause: If you do not wish to receive offers or information, whether from Ticketpro or the promoter(s), please notify us by sending an e-mail to info@ticketpros.co.za or contacting us on 0861 008 277. Due to possible delays, you may still receive promotional material up to 2 months after your notification. You may also cancel and return any issued ticket acquired through Ticketpro at any time prior to the scheduled date of the event to which it applies by handing in the ticket at any of our distributions outlets. Notwithstanding the aforesaid, if you can provide us with suitable documentary proof that a person in whose name a ticket was booked will not be able to attend the event because of his/her death and/or hospitalisation, no cancellation fee will apply in respect of the cancellation of such person&apos;s ticket. Ticketpro and/or a Promoter may refuse admission to events, alter the program or seating arrangements for events, or even postpone or cancel events in certain circumstances. In such case, the Promoter may offer a refund or exchange of tickets for which you may be required to follow certain procedures as determined by the Promoter. No refund will apply if you are refused admission to the event because you are younger than the minimum age for attendance specified by law or you otherwise fail to qualify for attendance. In order to receive any refund or an exchange that is offered, you will have to comply with the Promoter’s instructions and deadlines. Any refunds will be issued using the same method and card of payment that was used to purchase the ticket. Any information collected by the Ticketpro website will only be used internally by Ticketpro and the promoter(s) of the event(s) that you buy tickets for. Ticketpro and promoter(s) will use your infsormation to send you confirmation of your purchase(s) and information on the event(s) and to compile a generalised profile of the people attending the event(s). Ticketpro shall not rent, sell or otherwise disclose your personal information to any third party other than the promoter(s) of the event(s) that you buy ticket(s) for without your consent, provided that, by utilising the Ticketpro website and/or subscribing to any services offered by Ticketpro and/or the promoter(s), you expressly consent to Ticketpro utilising your personal information for the purpose of providing the services and for billing and advertising purposes (unless you have opted out) and to other third parties where necessary, or to comply with any law or regulation, to prevent fraud or abuse, misuse or unauthorised use of the Ticketpro website and to protect Ticketpro&apos;s rights and those of its customers. Ticketpro may use your personal information to personalise your profile on Ticketpro&apos;s internal system. Ticketpro may receive information about you from reliable third parties and add it to its database purely for ticketing purposes. Ticketpro shall ensure that such third parties operate a similar ethical policy in relation to your privacy. You may receive invitations to buy tickets for related events or other related products, but you may unsubscribe from these invitations at any time. Ticketpro and promoter(s) will use your information to send you confirmation of your purchase(s) and information on the event(s) and to compile a generalised profile of the people attending the event(s). Ticketpro may receive information about you from reliable third parties and add it to its database purely for ticketing purposes. Ticketpro shall ensure that such third parties operate a similar ethical policy in relation to your privacy. You may receive invitations to buy tickets for related events or other related products, but you may unsubscribe from these invitations at any time.